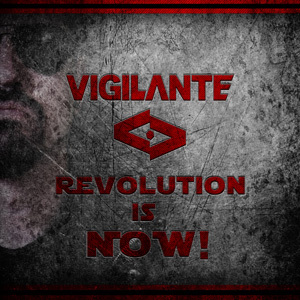 The new release of the Synth-Me label is from chilean monsters of aggro-industrual music Vigilante "Revolution is Now". The project is well-known to the fans of guitar post-industrial music by the albums and powerful material since the year 2005. The new release is the result of collaborations between different popular and underground musicians and projects from the post USSR territory, Europe and USA. This compilation of the new exclusive remixes is released during the same titled earopean tour. Synth ur life!